NB: That was a tenuous link. Also does not apply to iced lattes. Anyway, 200 Degrees is a truly charming business. There are only a handful of branches throughout the country, each of which has been hugely successful in retaining three main ingredients – individuality, personality, and some seriously Instagrammable décor. Oh, and not forgetting milk, coffee beans and everything else it takes to make a damn good cup of Joe. But it’s not just coffee – the lunch menu is switched up regularly, because variety is the spice of the life, and so are ‘turkey, pesto, peaches and goats’ cheese’; ‘bacon, chipotle relish, stilton and apple’; and ‘parsnips, tomato chutney, fennel and peppers’ if their past examples are anything to go by. 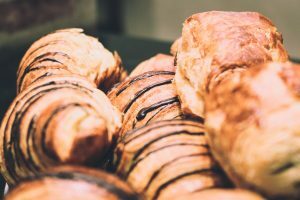 Although any local foodie knows we have plenty of independents, they mostly congregate in more suburban areas such as Canton and Roath, and despite Queen Street being one of Cardiff’s most visited sites thanks to its city centre location, its coffee shop offerings are more associated with huge corporations including Starbucks, Pret and Costa. Which is why it’s a welcome change of scenery for this artistic and innovative newcomer to pick such an accessible location. 200 Degrees is the brainchild of Tom Vincent and Rob Darby. 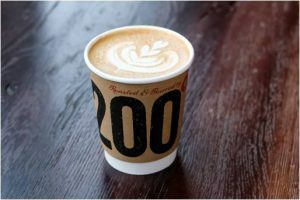 After becoming friends during their own degrees, they’ve spent around two decades collaborating in the hospitality industry, and of course, a highlight was the launch of their first coffee shop in their university city of Nottingham. Since then, their plans have gone from strength to strength, expanding to Birmingham, Leeds and Leicester, and now with Cardiff set to join the club, I was invited for a sneak preview and chat with Managing Director, Tom. Here’s the gist! 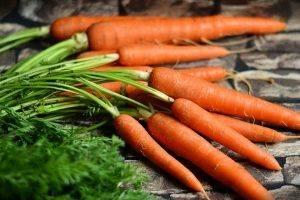 Ellie – To start at the start, what’s the background of the business? 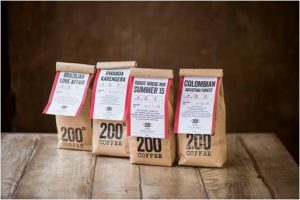 Tom – 200 Degrees began in 2012, as a roastery in Nottingham, stocking to a range of businesses. Towards the end of 2014, our first coffee shop opened, also in the city centre, before another, near Nottingham Station last summer. In December, we started in Leeds, followed by Leicester just last month, and now Cardiff’s on its way! Ellie – Well we’re glad to be on board! Can you give some context about how you worked your way up in the industry? Tom – I met Rob, my business partner, at University of Nottingham. I did Mechanical Engineering, followed by a Masters in Sheffield. I had started a PhD, but decided to focus on business instead. So, we took over our old student pub, before launching Cucamara in 1999. It’s one of Nottingham’s original bars – it’s really specialist, so there are only cocktails. We then bought The Old Salutation, which is the city’s oldest pub, established in 1240. 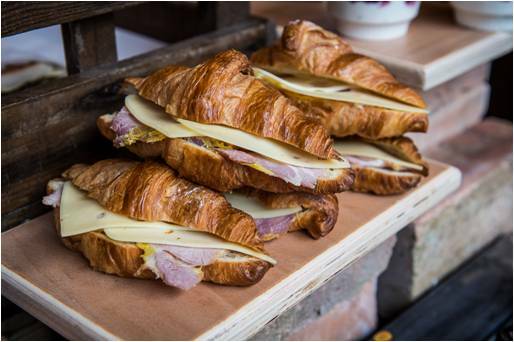 Following this, we founded the bistro Belle and Jerome, as well as running three garden centre cafes, between Nottinghamshire, Doncaster and Milton Keynes. It was then that we had the idea to roast our own coffee. 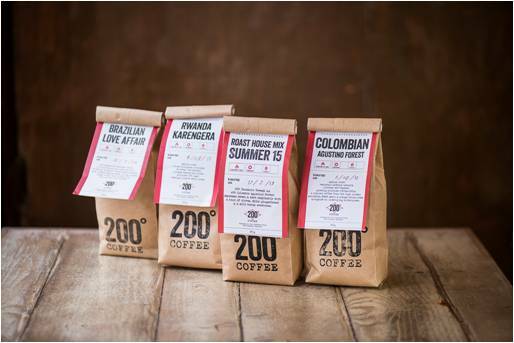 There weren’t really any roasters then, so it took two years of trial and error to showcase to Nottingham what we do. 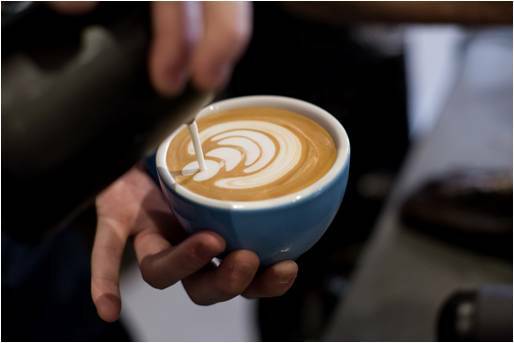 Now, we have a Barista School and the coffee shops themselves are expanding throughout England. Ellie – So after running pubs and bars, what made you shift your focus onto coffee? 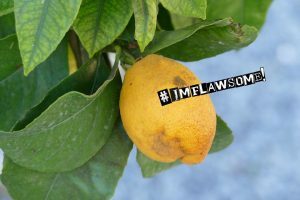 Tom – We do have a passion for coffee, and wanted to make something drinkable and accessible – not pretentious, but coffee that tastes like coffee! We were also keen to promote independent companies instead of large chains. Ellie – What drew you to Cardiff? Tom – We want to be part of Cardiff’s independent scene. It’s very much a collaboration. In other cities, we hold latte art competitions, where 40 local baristas gather on an evening and independent judges give their verdicts on the best latte art! We’d love to bring something like this to Cardiff. It’s a great city and we can’t wait to set up 200 Degrees here. Ellie – So tell me more about your Barista School. Tom – There are three levels in the school – basic, intermediate and advanced, starting at £45 and spanning from 2.5 hours to half a day. Whether you’re a barista or just caffeine-curious, you can learn and demonstrate everything from how to make different versions to identify good coffee. This might be extracting espresso; perfecting latte art or getting the texture of the milk right. We have four professional machines, and you’ll have tailored guidance. The whole upstairs of our Cardiff branch is going to be dedicated to the school. It’s been a real hit elsewhere so hopefully Cardiff feels the same. You can book online from around 10th April. Ellie – Why do you think 200 Degrees has been so successful in such a short amount of time? Ellie – I’d say it’s a factor. You clearly know your stuff – what’s your advice on how to succeed? Tom – You need to focus on key elements, and be confident in what you’re selling. It’s important to understand the market and model, and to not get distracted by those who shout the loudest. Stick to your values and remember good service, happy staff and quality. Also, people notice little details. 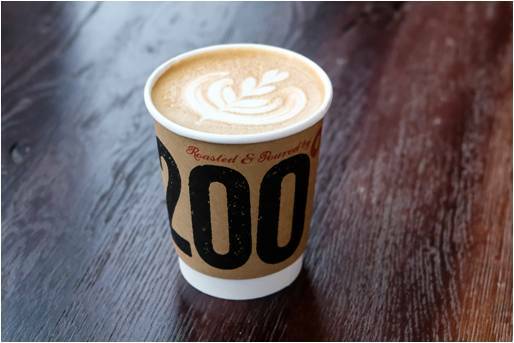 Ellie – And finally, how would you sum up 200 Degrees’ ethos in three words? Tom – Authentic, friendly and focused. 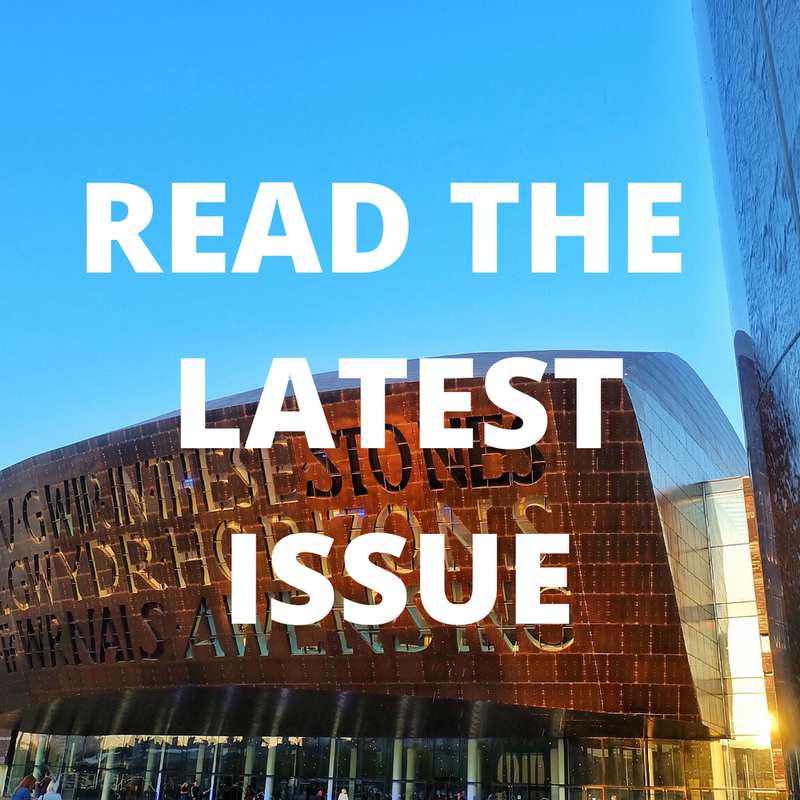 Ellie – Sounds like a winner in Quench Food’s book at least – we’re excited to see what 200 Degrees will (literally) bring to the table in the Diff. Best of luck to the team, and be sure to try them out from later this month.